The RSD Café Tail Section slims and simplifies the back of all 2004 to present XL Sportster models. The Tail is made of thick, strong fiberglass that is covered with a Black Gel Coat. Sold separately are two different seat options, the simple clean lines of the Café style, or the triple diamond stitched Boss. 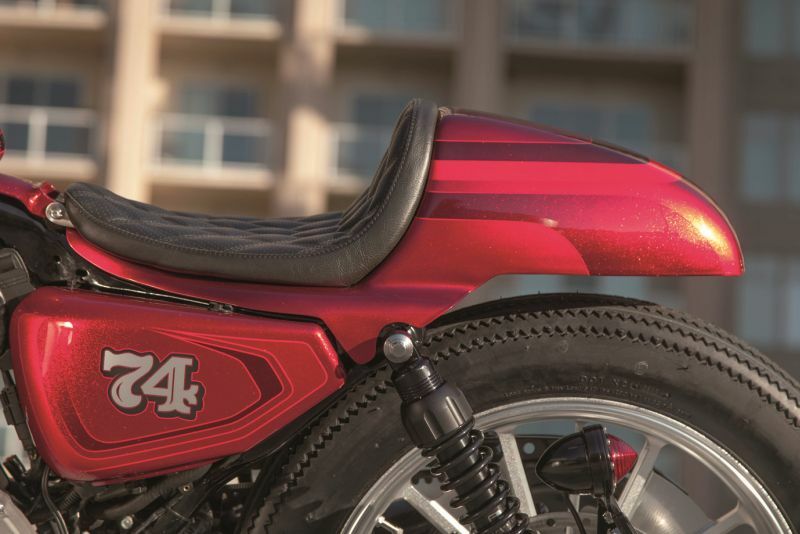 The RSD Café Tail package is aggressive, yet flows perfectly with the Sportster side covers and gas tank. Has clearance for stock shocks, wheels & tires. 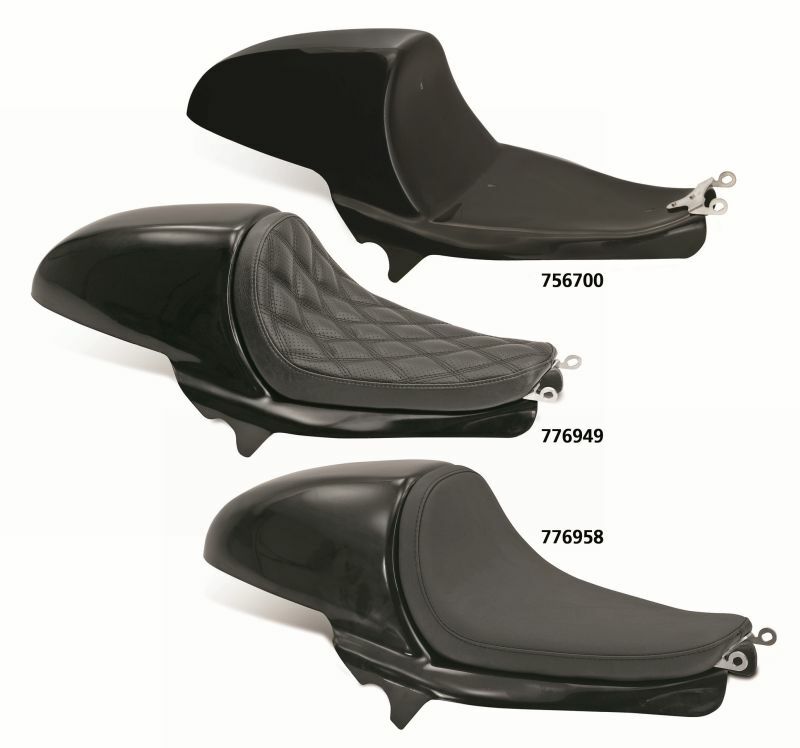 Installation requires removal of stock fender, supporting struts and seat, as well as relocation of taillight and turn signals. Tail section comes with stainless steel mounting brackets and all necessary mounting hardware, you will have to order your choice of the Boss or Café style seat separately.